Living near Birmingham, Alabama, has its advantages. There are so many parks and beautiful places for kids to play and for families to be together. It feels like I discover a new playground or trail on a monthly basis. One of my favorites is in Helena, AL, where there is a gorgeous neighborhood with a public walking trail. It has been a haven for early evening runs by myself or with friends, boasting very minimal hills and the perfect amount of shade. I love introducing places like this to my clients. My first session with this beautiful family was back in May in an open field just next to the trail. 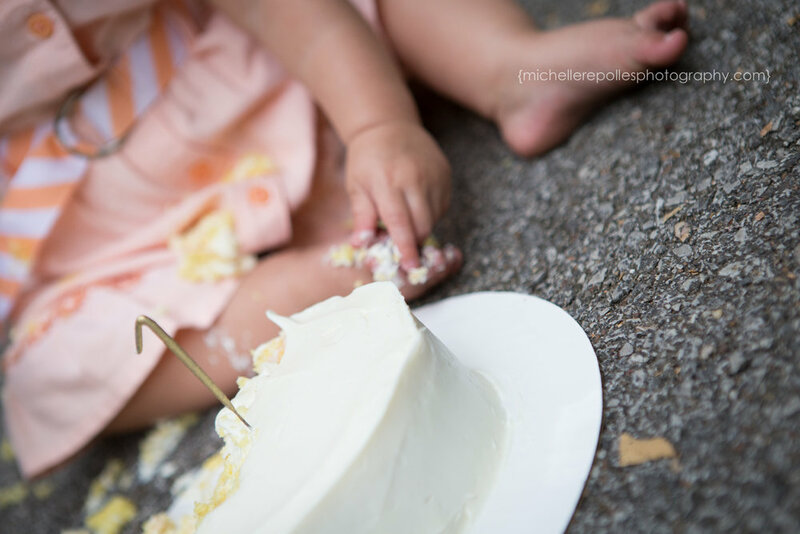 We all know how hectic getting ready for a family photo shoot can feel with littles, and finding a new place can add to the stress of the day. Since we were both familiar with the location, we figured, let's do it again...but actually be ON the trail this time. I'm so glad we did. The canopy of trees with slivers of light coming in is so beautiful. I can see why this location is a favorite among other photographers as well. 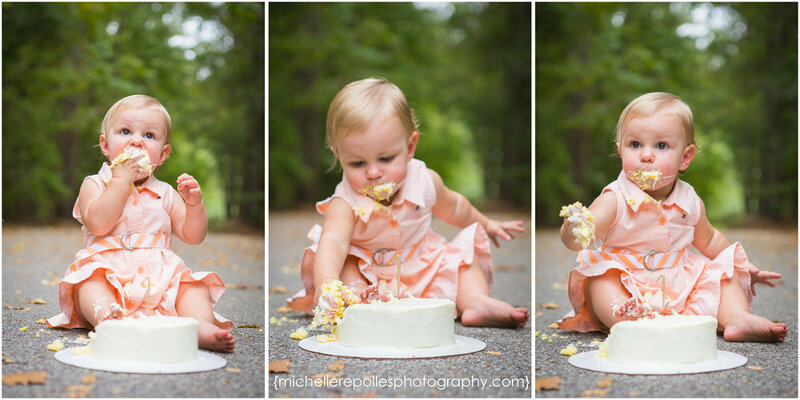 Not only were we updating family photos, but sweet little girl just celebrated her first birthday! After the family session, mom brought out the smash cake. Oh my goodness! 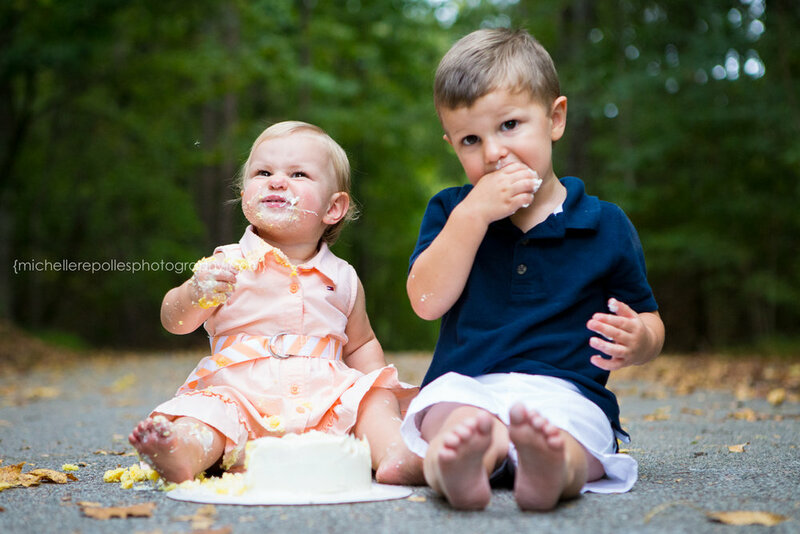 Precious captures from her enjoying the cake and letting big brother join in are just too adorable. Isn't Mom beautiful with her little baby bump? She's expecting another girl in February and we've already set a potential date for her newborn session. I cannot wait! Here comes brother. He was SO patient as he waited his turn to get in on this cake. Time for clean up. Thank goodness for hand wipes! Full of cake and smiles. Wouldn't you be, too? What a delight! Being a family photographer is a privilege I don't take for granted. It's a joy to take a moment, an hour, an afternoon with a family and turn it into memories that are now preserved in precious images like these. 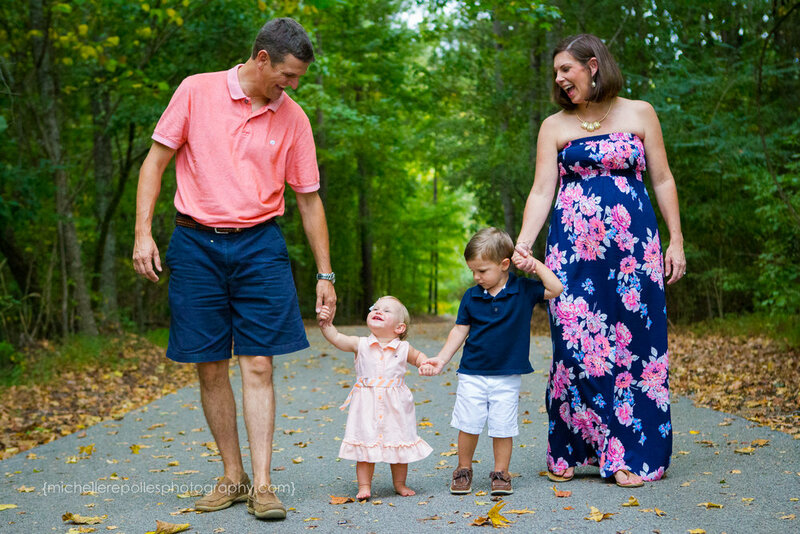 If you are in the Birmingham area and are looking for a family and lifestyle photographer, I would love to connect with you to see if we are a good fit. 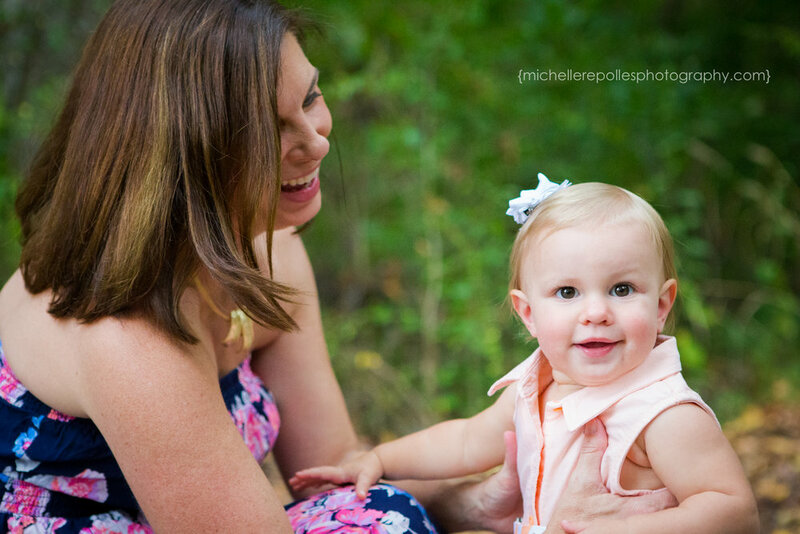 You can contact me directly to find out what to expect from a session with Michelle Repolles Photography. 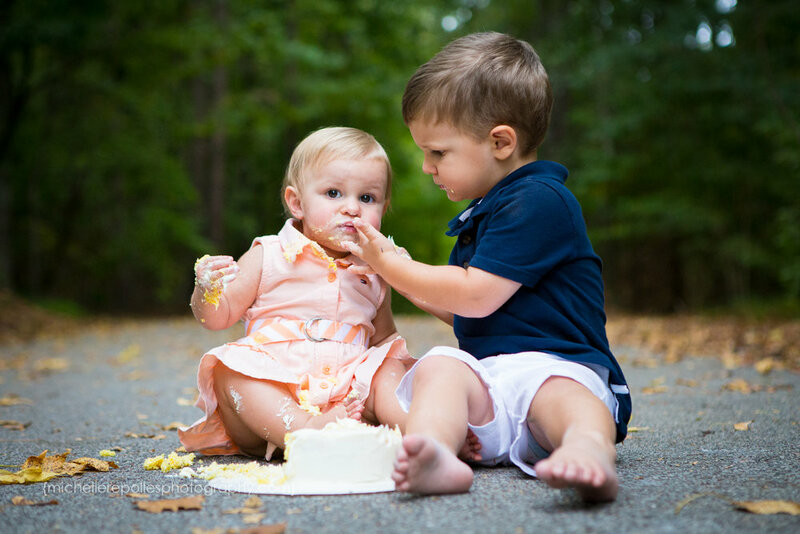 Now, who wants some cake?